This is the Land of Lincoln's chance to solidify its status as a clean energy leader. 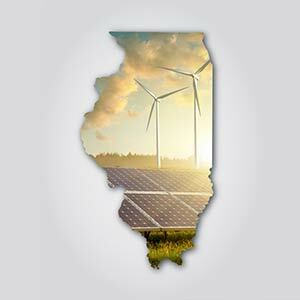 In the wake of Trump’s election, Illinois stepped up and passed the Future Energy Jobs Act — legislation that paved the way to the state’s clean energy future. Now, Illinois is prepared to build on the strong foundation of that 2016 law with new legislation that goes even further. This bill was built by a diverse set of allies — including consumer, business and faith leaders — and based on listening sessions held across Illinois with citizens like you. If passed, it will provide billions of dollars in investments, provide quality jobs, call for a carbon-free power sector by 2030, and more. Don’t let this chance for action slip away. Take action today, and tell your State Legislators to support the new Clean Energy Jobs Act! I'm writing today in strong support of the passage of the Clean Energy Jobs Act. This is our chance to build on the strong, bipartisan foundation of the 2016 Future Energy Jobs Act and advance a clean, equitable, low-carbon energy future in Illinois. This legislation will bring in billions of dollars of investments while providing quality jobs and economic opportunities throughout Illinois, especially in areas impacted by coal-plant closures, while more than tripling the clean energy investments advanced by the 2016 legislation. Please champion this crucial legislation. Our families and communities are counting on your leadership.